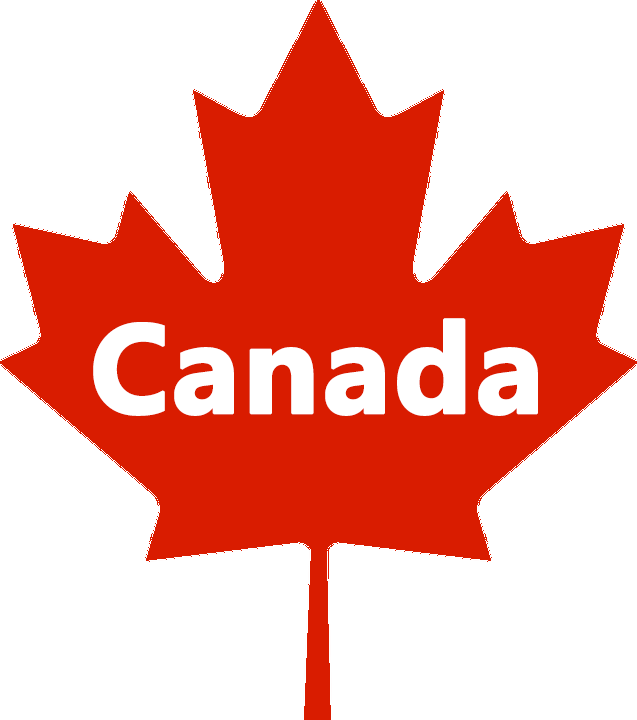 Unique ballpoint pen POLAR pen & stylus 2.0 designed by Canadian design manufacturers is a wonderful gift for both men and women, not only for graduation! 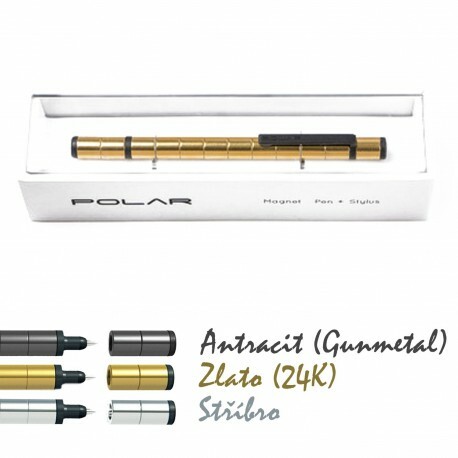 POLAR pen is unique worldwide concept that combines functionality, unique design and fun in one ballpoint pen. 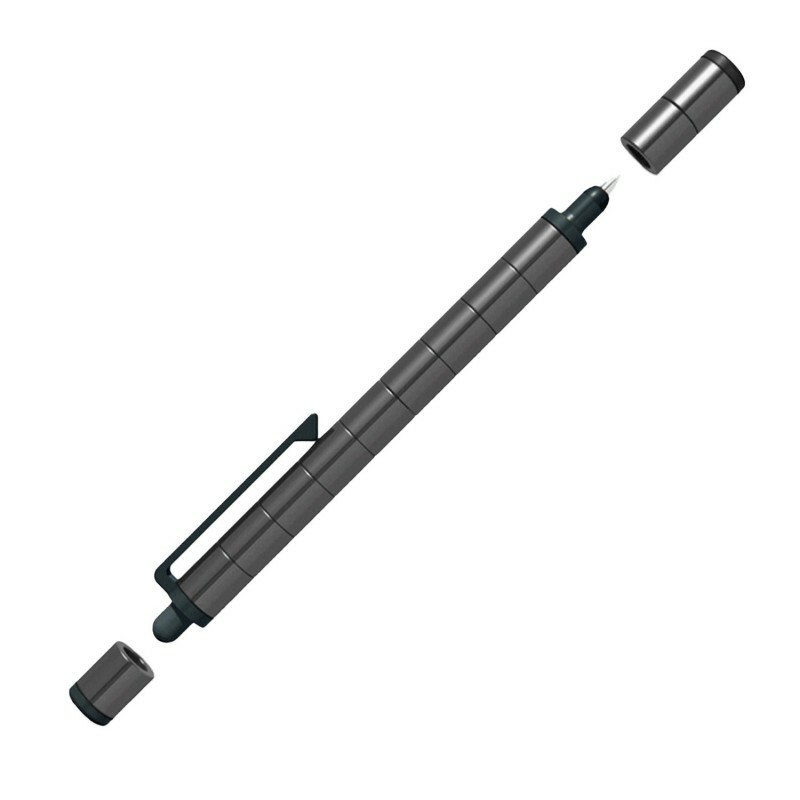 It was the world's first pen manufactured completely of magnets. 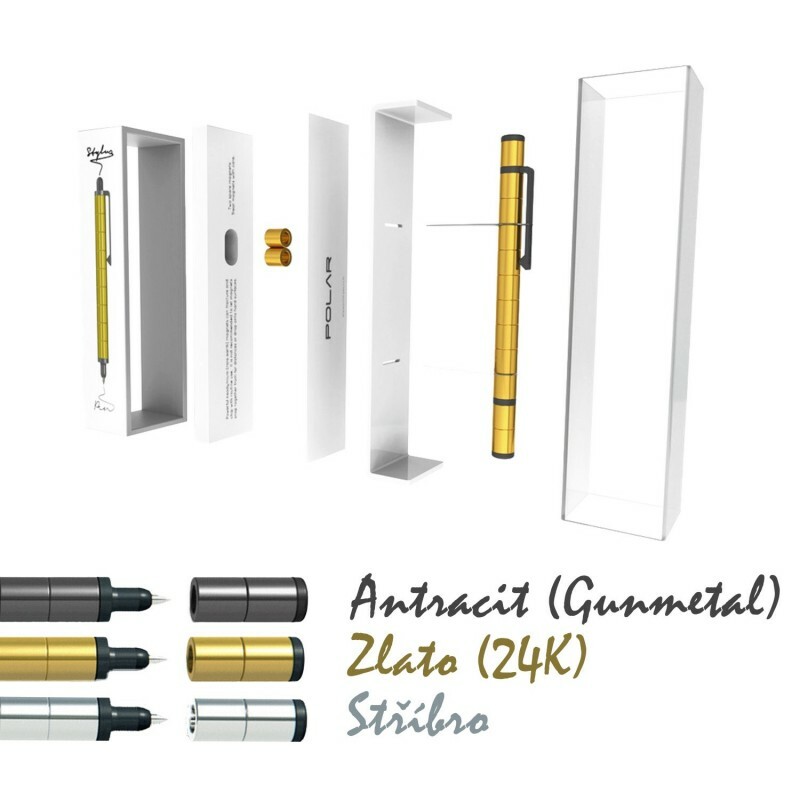 Precision processing complements the luxurious finish of silver, 24 karat gold or anthracite. 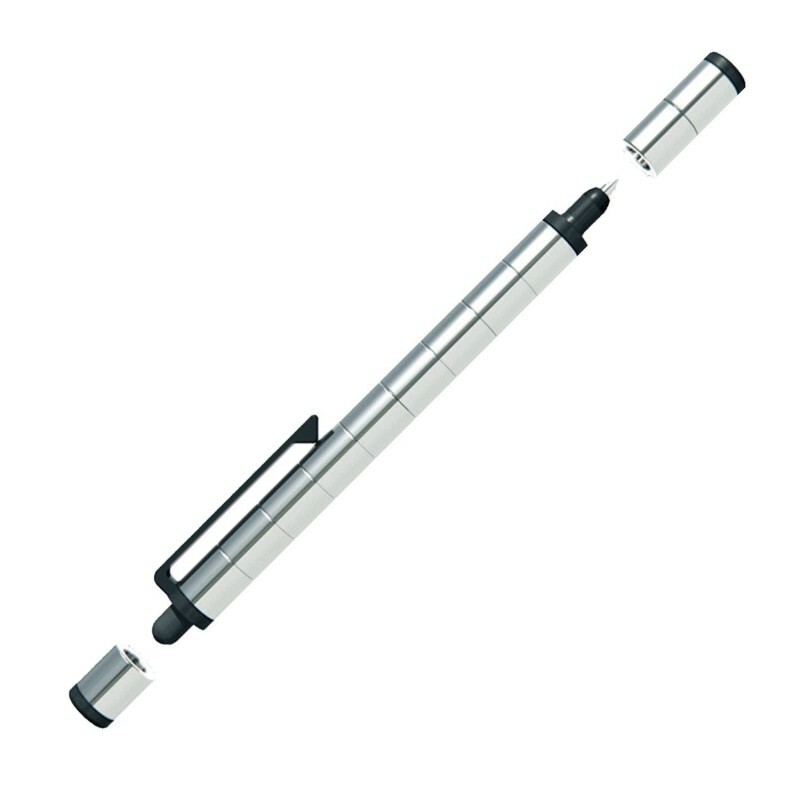 This pen will definitely not attract just your attention! 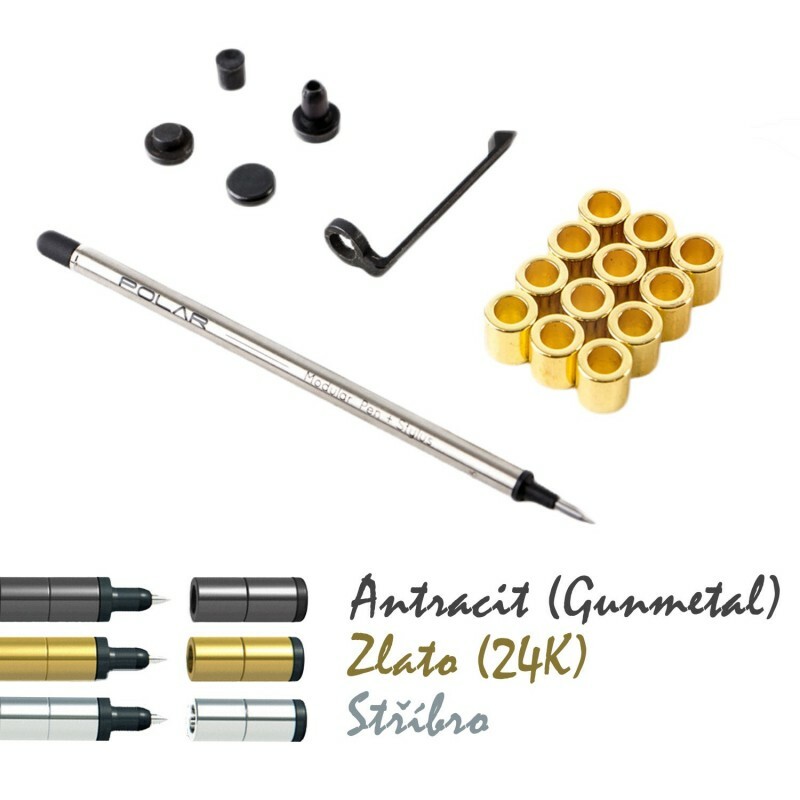 The pen is made of strong neodymium magnets, which are provided with a surface finish of precious metals or anthracite. 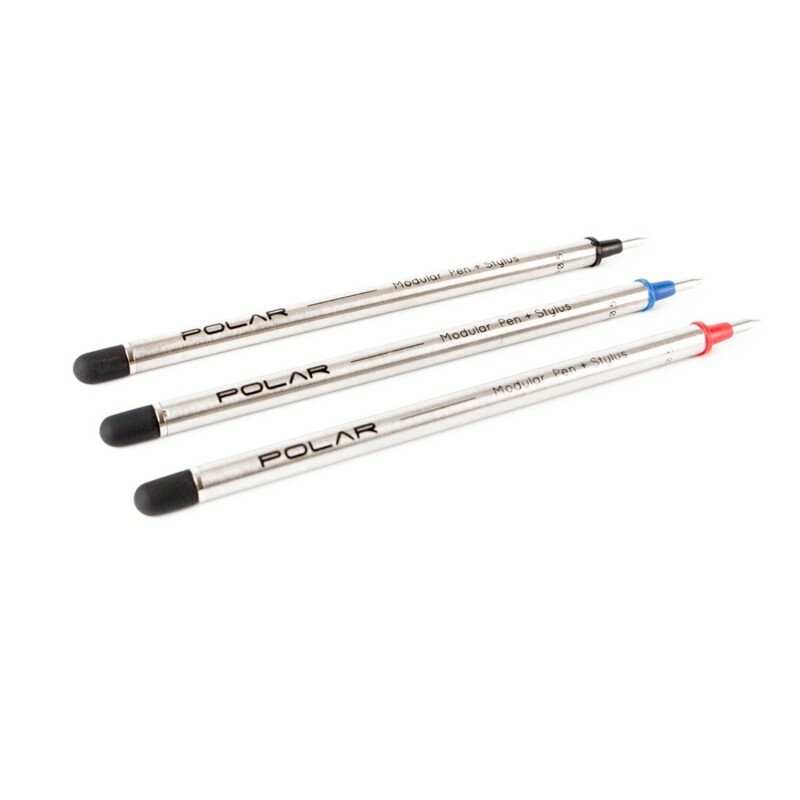 Polar pen uses a special refills made in Switzerland made of stainless steel, which is finished with a soft ending to operate touch-screens. 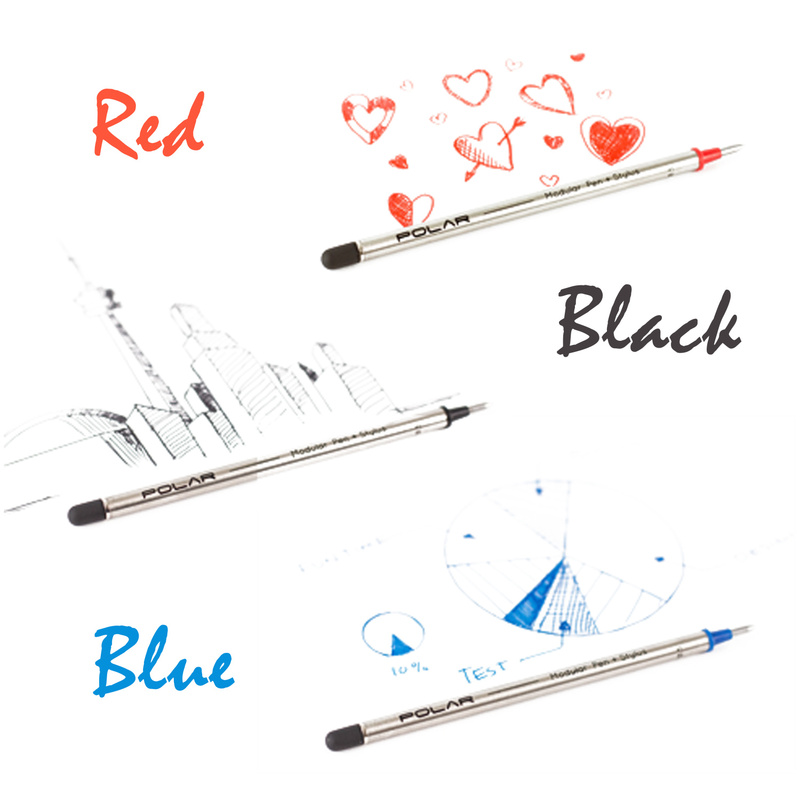 All variants of the ballpoint pen comes with refills in black. The manufacturer indicates that non-original Uni-ball Signo UM-1 cartridges are also compatible with the pen. 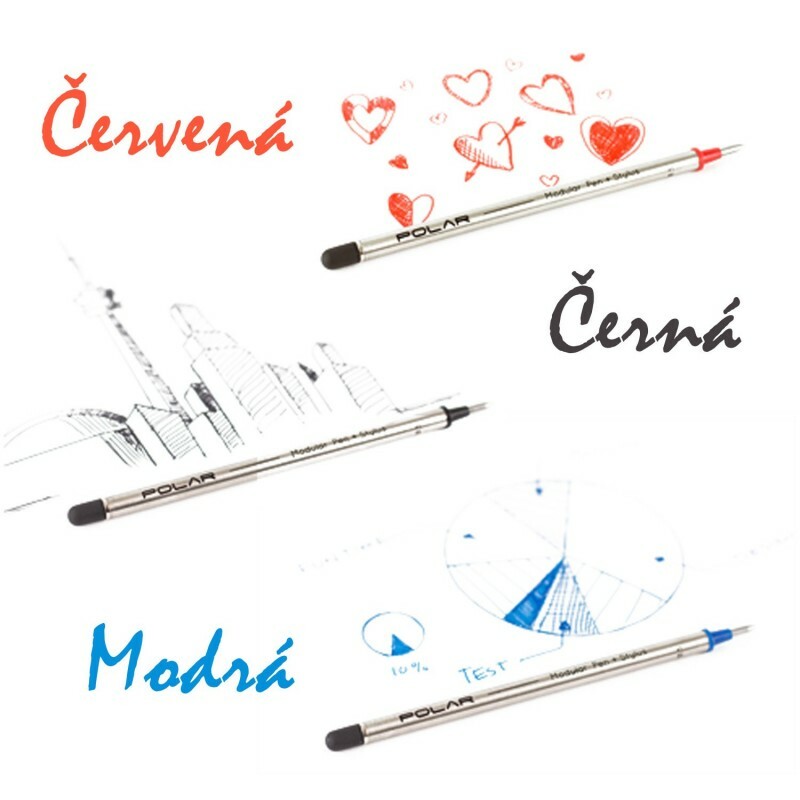 We tried for you some non-original refills that are compatible with a pen PolarPen and are commonly available in Czech republic. 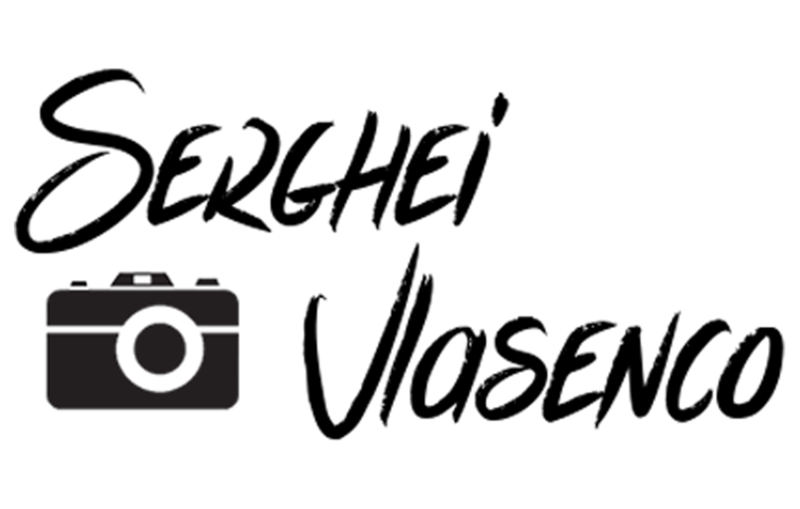 However, all tested refills are needed to be slightly shortened before use, which allows their contruction. None of these non-original refills is finished with a soft ending to operate touch-screens. 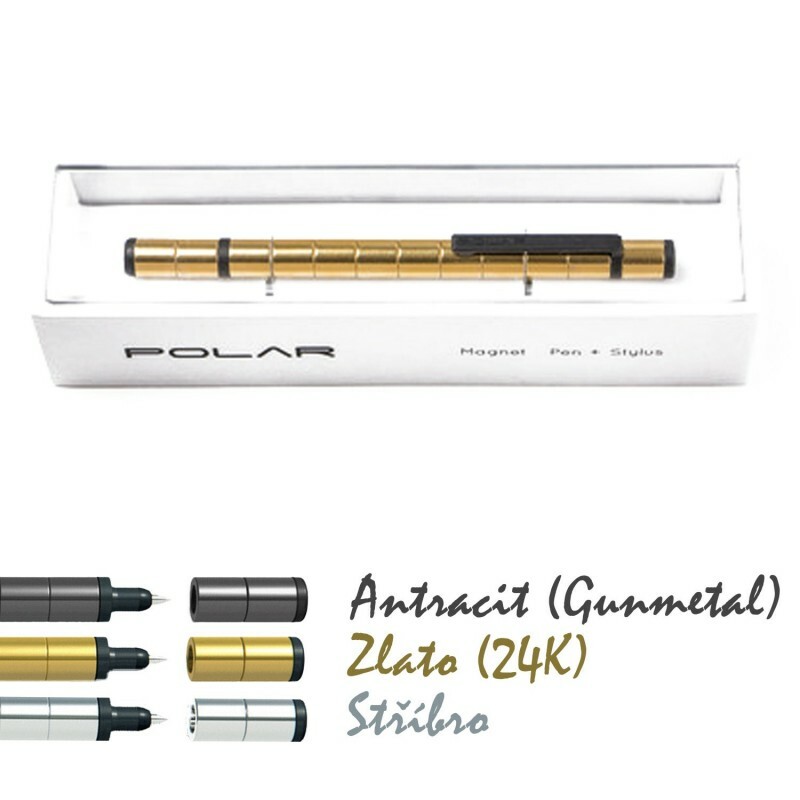 POLAR stylus pen & 2.0 are made of very strong special hybrid magnets made from neodymium. 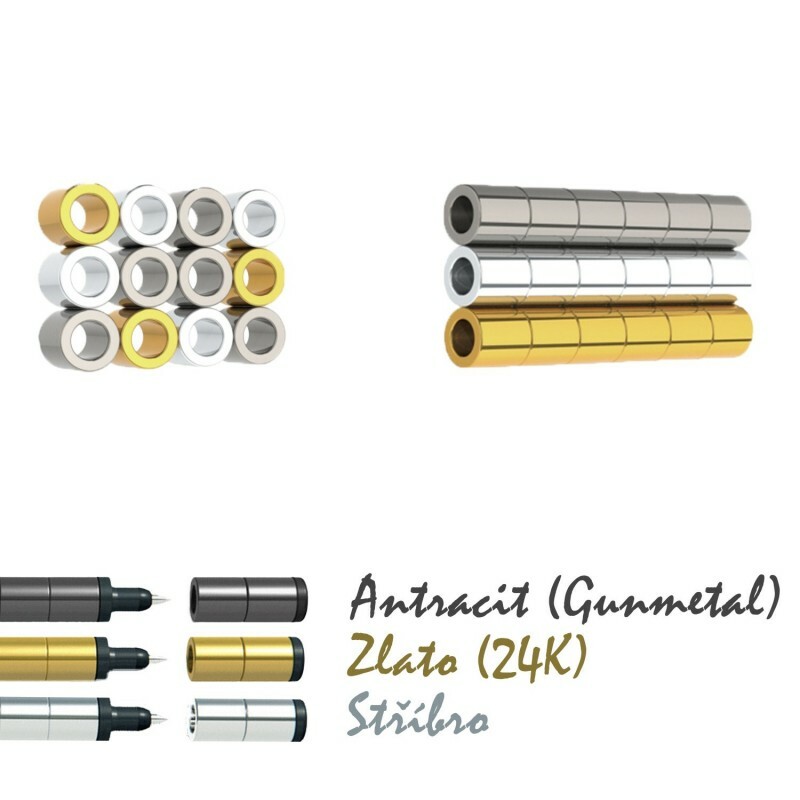 These magnets have a physical durability class N 35 and the magnetic strength as N 42. 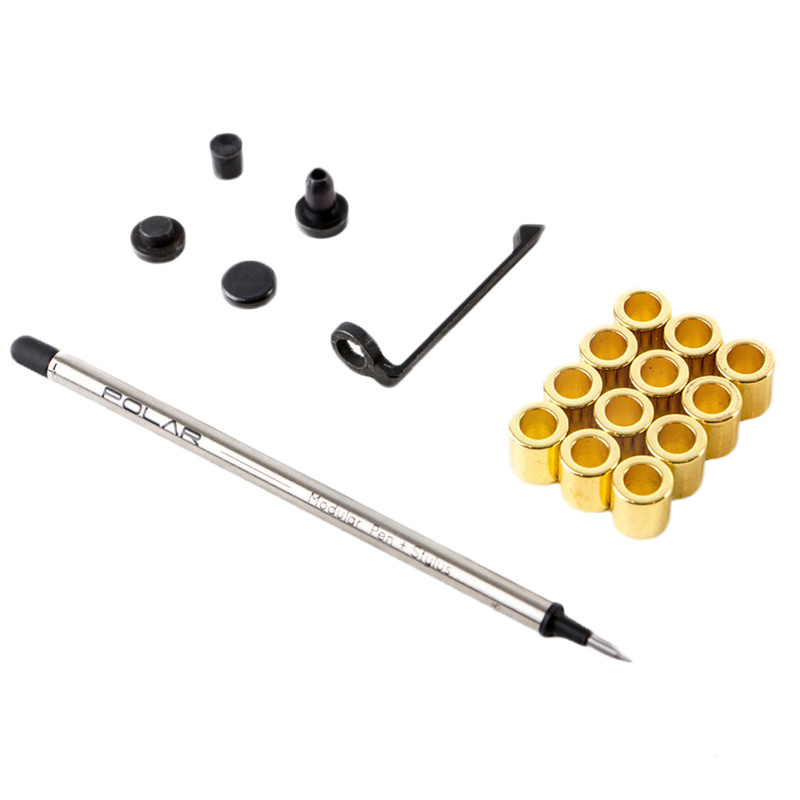 As each magnet also these can cause damage, so the pen is always supplied with two extra magnets in the pack for case of damage or loss of the magnetic part. The pen is not only practical, but you will enjoy a lot of fun with it at meetings, or school lectures.